Yikes! The average 4-5 year old child consumes 17 teaspoons of added sugar a day- which amounts to 65 pounds of added sugar a year. The majority of a child’s added sugar intake comes from candy, high fat desserts and sugar-loaded drinks (fruit drinks and soft drinks) — drinks that contribute to obesity risk, dental health problems and poor nutrition. To stay healthy and energetic, your child’s body needs plenty of healthy fluids every day. Water is a perfect choice, since it hydrates without adding unnecessary sugars and calories. Our bodies use it to transport oxygen to cells, regulate temperature, fight off infection, eliminate waste, and cushion our spinal cord and joints. Water is the beverage your child needs the most of each day. It is important that we encourage our kids to get in the habit of drinking water. Straight from the tap is fine (bottled isn’t necessary) but your child may drink more if it’s chilled, and/or if she has a special cup, bottle, or canteen for her H2O. Depending on the age and level of activity of your child, it is recommended that children drink 5-8 cups of water each day. Make it low- or non-fat for kids 2 and up (littler ones need the fat for brain development). Serve two cups a day for kids 8 and under, three cups for older children and teens. Kids need the calcium and vitamin D found in dairy and soy/rice/ nut products. If your child doesn’t like milk, smoothies are a good option: they help kids to stay hydrated and provide essential fruit and calcium at the same time. Avoid flavored or sweetened milk. For those unable to have milk products due to lactose intolerance and casein protein allergies, there are soy, almond, hemp, rice and oat milks available. These are also high in calcium and protein and many are fortified with vitamins and minerals to make them nutritionally similar to cow’s milk. See our Calcium & Your Bones page for more information. Limit to 4-6 ounces a day for kids 6 and under (that’s ½ to ¾ of a cup). Older kids and teens can have 8-12 ounces a day. 100 percent fruit juice is best—check the label, as fruit drinks, punches, and ades may have added sugars (and calories). Fruit juice does have some disadvantages. Though 100% fruit juice counts as one of your child’s servings of fruit for the day, it doesn’t have the fiber that whole fruit does and is quite acidic. Fruit juice is also quite sweet, and can cause your child to develop a sweet-tooth. Limit fruit juice and always dilute it with water. 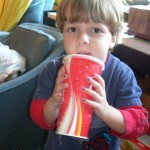 These days, many children don’t drink water – drinking gallons of sweetened soft drinks instead! Advertisers would have us believe that sports drinks and sodas are necessary to keep our children happy and hydrated, but this is just not true. Selling soft drinks to our kids is a massive industry: Beverage-Digest reports that in 2011, the sale of soda drinks in the US was worth more than $74.2 billion dollars. It’s no wonder that our kids are bombarded with advertizements for these products. 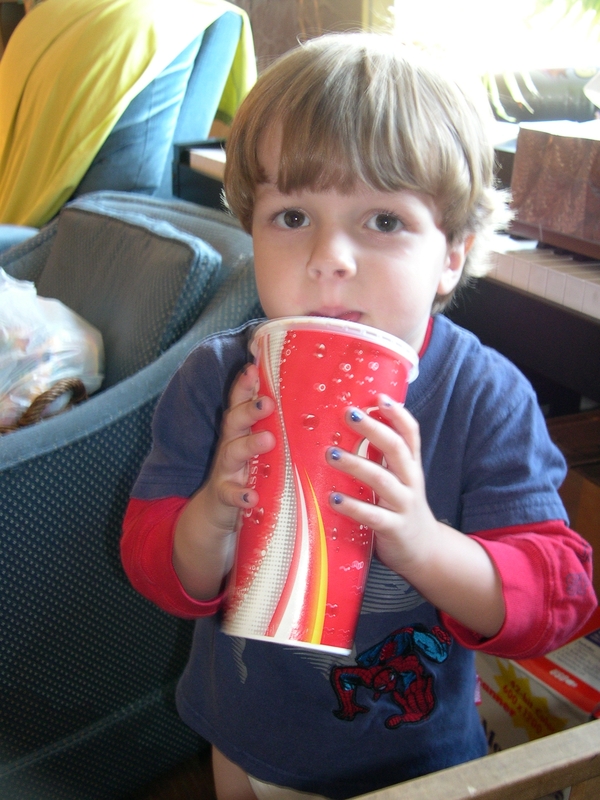 Remember that you determine what your child drinks – if you don’t buy them, the kids can’t drink them. First 5 Ventura County, Ventura County Public Health, WIC and several other public agencies and nonprofits are working to bring information about the effects of sugary beverages to families through the “R ethink Your Drink” campaign and a furry spokesperson named Potter the Otter. 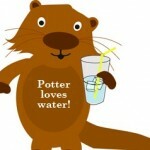 Introduce your children to the charming story of Potter the Otter, who loves water. 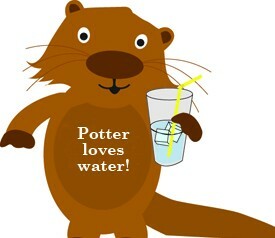 Through rhyming interactions with his animal friends, Potter learns about healthy beverages and friendship. Contact First 5 for this special book. 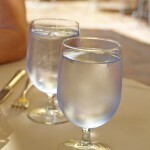 The American Journal of Clinical Nutrition recommends that a child needs between five to eight cups of water each day. Your child may need more water during the day when it’s hot outside or when he’s sick or recovering from an illness. Keeping a bottle of water nearby will remind and encourage your child to drink more. Keep the sugary beverages out of the refrigerator. Instead, try pitchers of water with fresh fruit slices! Keep water on hand all the time with a reusable bottle that can be filled up with water at anytime. Offer your child fresh fruit instead of fruit juice. Fruit is high and fiber and makes a perfect snack! Did you know that your body is two-thirds water? Water is a really important component of our bodies. We lose water all the time in our sweat, breath and when we urinate (pee). We lose water even faster during exercise, and it’s fairly common for children to get a bit dehydrated – especially when they are playing hard and having fun in warm weather. Of course we replace water all the time when we drink. Therefore it’s important that children stay hydrated, and it’s also important that we give our kids healthy drinking habits, such as encouraging our kids to drink plain water and avoiding sweetened drinks. 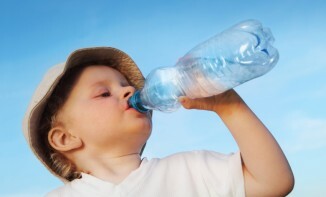 Children are more susceptible to dehydration than adults. Mild dehydration can cause tiredness, constipation, dry mouth and thirst. Dehydration can even affect your child’s’ short-term memory and their ability to do simple math. 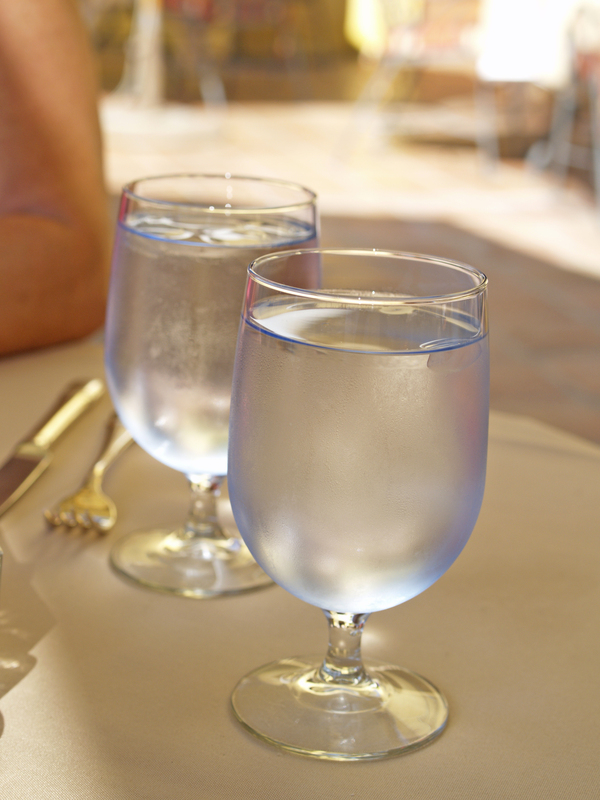 Mild dehydration can be easily remedied by drinking water. One of the best ways to make sure your kids stay hydrated is to teach them to check their own urine (pee). Just encourage your child to take a look next time they go to the toilet! If their pee is dark colored, they need to drink more fluids. Pee should ideally be very pale yellow, it should not be very smelly, and you should make quite a bit of it. If your child can go for hours without peeing, and their pee is dark yellow/gold and smelly, they need to drink more water. Encourage your kids to check themselves: If their pee is dark or smelly, they should drink more water!